What happens if I give some of my participants India, Ghana, the Philippines, South Africa the amount of 100 Swiss Francs, and they can do what they want with it, even use it for themselves. During christmas vacation 2017/18, I found 400 Swiss Francs in an envelope in the snow. After asking the local organizations and leaving my address, nobody claimed to be the owner. Therefore, I had the idea to send 100 Swiss Francs each in the original banknote in a letter to four of my Ruhpolding participants. One of them is Patricia who heads the Nareshwadi Learning Centre, run by the Girivanvasi Educational Trust, located 130 km from Mumbai which provides quality education for children from migrant tribal communities, street children and orphans. Patricia asked her 7th grade students (27 girls and 31 boys) what they would like to plant with this money. They decided to start a banana field. The whole project lies in their own responsibility: planning, measuring the plot, soil preparation, planting, watering, harvesting. In the first step, the project lasts three years (June 2018 until June 2021). From the 100 Sfr., they bought banana suckers, bamboo plant support sticks and organic fertilizers. They farmed a field with plot size 4000 sq ft. The estimated yield is 1245 kg or 16,600 bananas in 2019, 830 kg or 12,450 bananas in 2020, and 500 kg or 8,300 bananas in 2021. In total, these are 2,575 kg or 37,350 bananas. 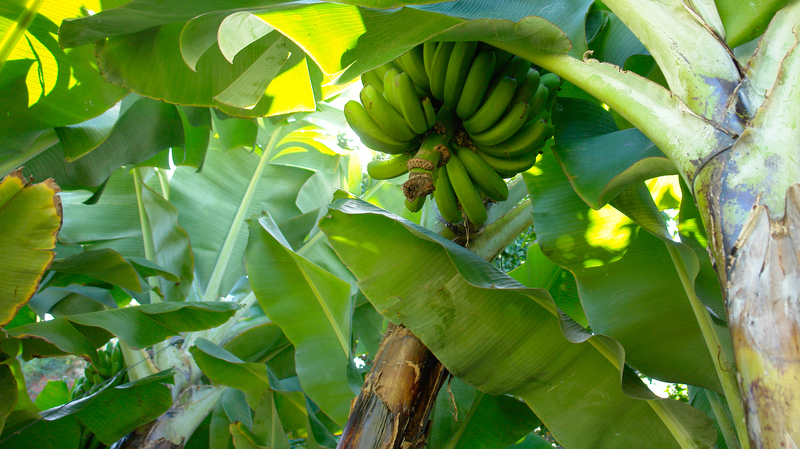 Each banana plant will grow on average four additional suckers. Three of them will be given to the families of the children to plant them in their home gardens. Directly are benefitting from this project the children of Nareshwadi Learning Centre (2,166 children), indirectly the family members of 58 involved students (“Team Banana”) as well. Patricia used the banana project to apply and axercise NVC with the children. Especially, through working on this project as a group, children practiced sharing and cooperation. The children filled a form about certain kind of behaviour before they started the project, and after half a year. It clearly came out that communication became friendlier, more open, and more self-confident. After writing a small report in a Swizze newspaper, a reader sent me another 100 Swiss Francs for a further sustainable project like the one she read about. Now the same school is planning to plant Henna to sell it and increase their income. These little projects do not only increase their income, also the way they are conducted give responsibility to the students for the whole project. They learn about sustainability, and they learn how to discuss and express themselves and get to know about the basics of NVC.